Last edited by Mountain Slayr; 28th March 2019 at 8:43 am. Collect your thoughts and speak clearly. Will it be a Epic Store exclusive tho? Already rumoured to be Epic exclusive. Would be keen for more borderlands, 2 was great. If it turns out to be an exclusive - while I think competition (eg steam vs epic store) will likely benefit the consumer / industry in time, the epic store could really do with some more features etc etc. Watching the live stream right now. Randy is doing magic tricks, so boring. Omigod, they have a Discord server, so thrilling! 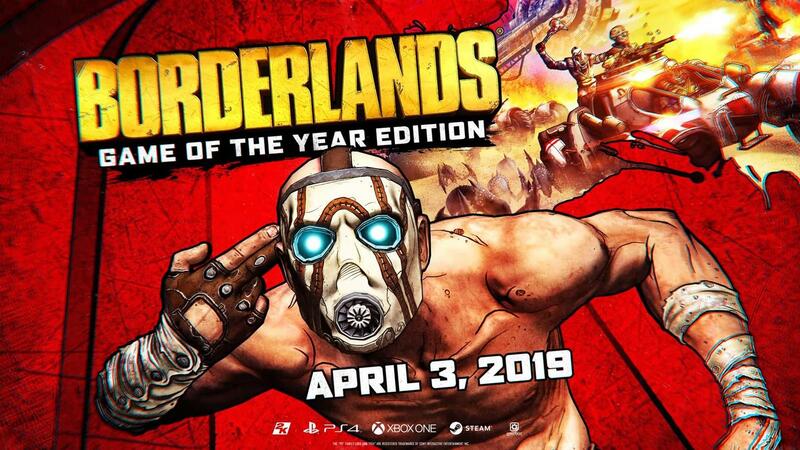 Borderlands 1 remaster free for vanilla Steam owners, including all DLC. Free 4K texture packs for Borderlands 2 and Pre-Sequel. Never played, mate swears it's an awesome game. This is my most anticipated game for years. A mate and I sunk +500 hours into 2 co-op. The Borderlands games are awesome - pure happiness in a looter shooter. BL2 introduced me to coop, before that I was a anti-social scardy cat when it came to teaming up with others.....so damn good: Turret love. UPDATE: Found it in a Bundle ! Go about your business.